I’ve passed The Pit Stop a thousand times but would never have thought to stop because it looks like the usual greasy burger joint, nothing special. I was absolutely wrong, looks can be deceiving. The old saying “don’t judge a book by it’s cover” applies to this place. I was watching Diners, Drive-Ins and Dives with my husband last week and Guy Fieri’s first stop on this particular episode was The Pit Stop. This dive is not just a greasy burger joint, it is a diamond in the rough, a destination for really great food. Guy showcased a few dishes that left our mouths watering and ready to run to The Pit Stop immediately. Well it took us a week to get there and the food was absolutely delicious. The picture does not do this dish justice because it was delicious. 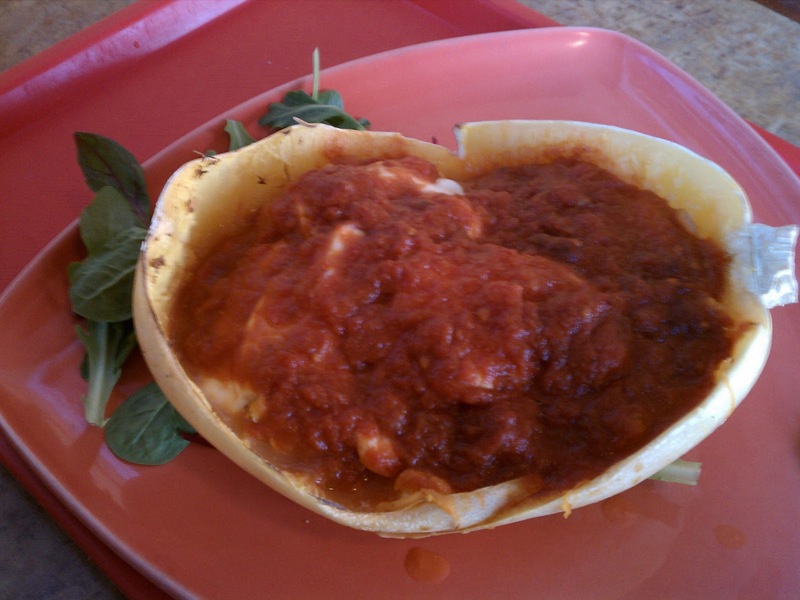 It consists of spaghetti squash sauteed with vegetables which are then stuffed back into the shell of the spaghetti squash, covered with marinara sauce and topped with fresh mozzarella. The second dish my husband and I shared was the Cuban Panini with french fries covered in mozzarella and a side of gravy, to dip the french fries in of course! 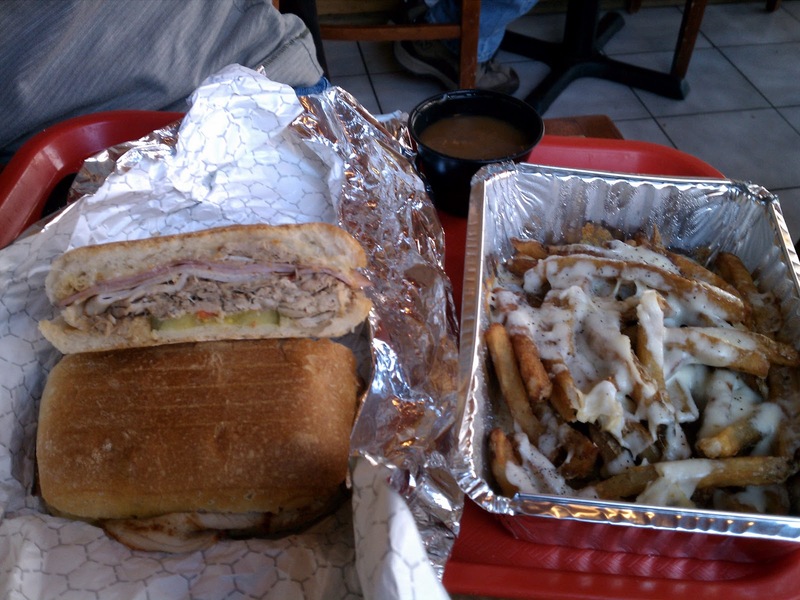 The Cuban consisted of pulled pork, turkey, ham, Swiss cheese, pickles, peppers and honey mustard sauce on ciabatta bread pressed in a panini press. The french fries are hand cut and cooked to perfection. 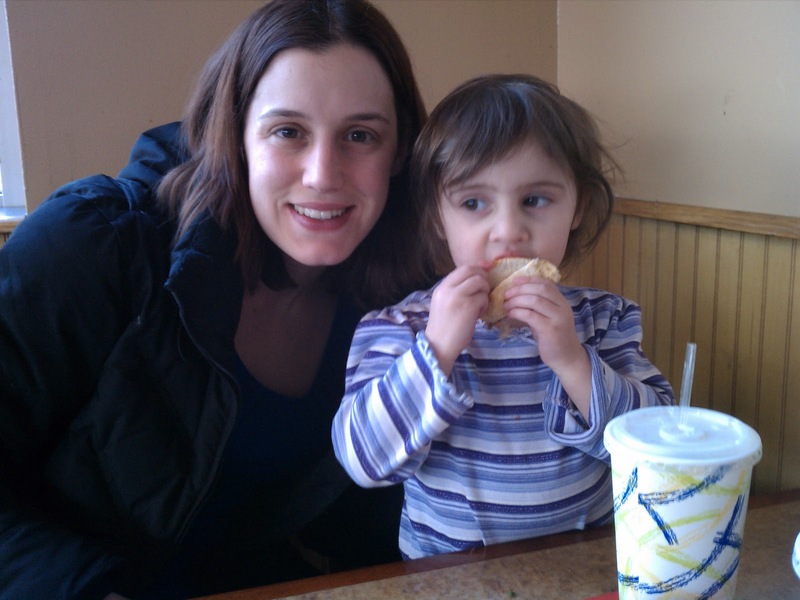 This was a great meal that left us craving more, even my 2 year old Abby enjoyed the food. 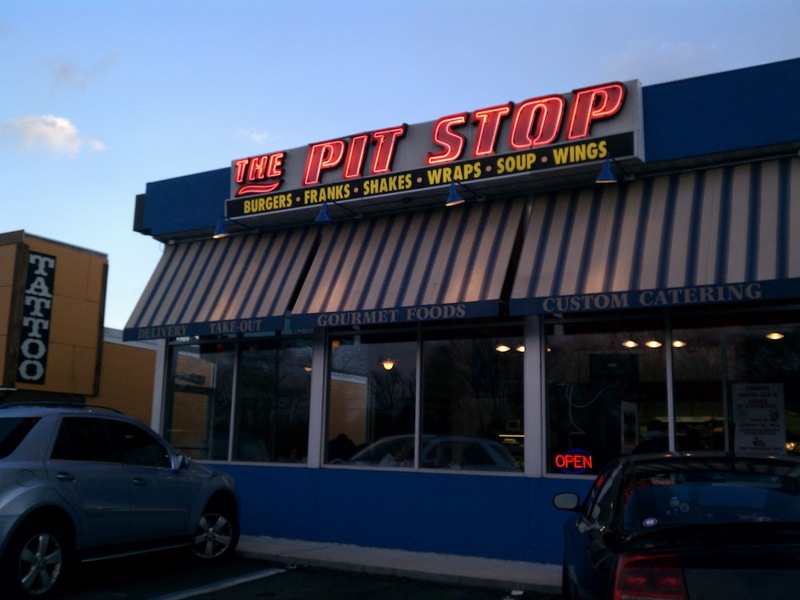 If you live on Long Island or are ever in the area you definitely need to check out The Pit Stop, you will not be disappointed.